Maruti currently has total of 53	car models in India. Maruti Cars price starts from ₹ 0 . Click on the below images to see the details of each models. A well known phenomenon is that Maruti Suzuki India Limited is India's largest car maker with one out of every two cars on roads being a Maruti. In 1981, Maruti Suzuki was signed as a joint venture with the Indian Government under the 'then Prime Minister Indira Gandhi' and was called as Maruti Udyog Limited. 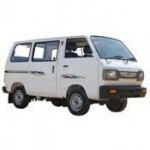 Maruti was the first in the Indian Auto industry to come up with stylish and spacious vehicles. Maruti still continues to be a pioneer as well as the No. 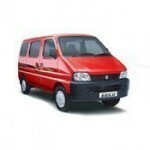 1 car maker in India of all times with innovative technology and models. It has kept pace with tough competition from others and altered strategies to be the leader in the Indian Automobile Industry. Already Own a Maruti Car? * Maruti may not sell all the car listed here in all showrooms. 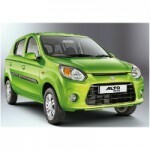 Price of Maruti car listed here are dealer price only not the on road price of the car. Maruti car pictures are for representation purpose only. To book and know the on road price of any Maruti car click the buy now button.